Camping near the Colorado Wyoming border on the night of May 27, 2017 I was treated to a spectacular Auroral display. 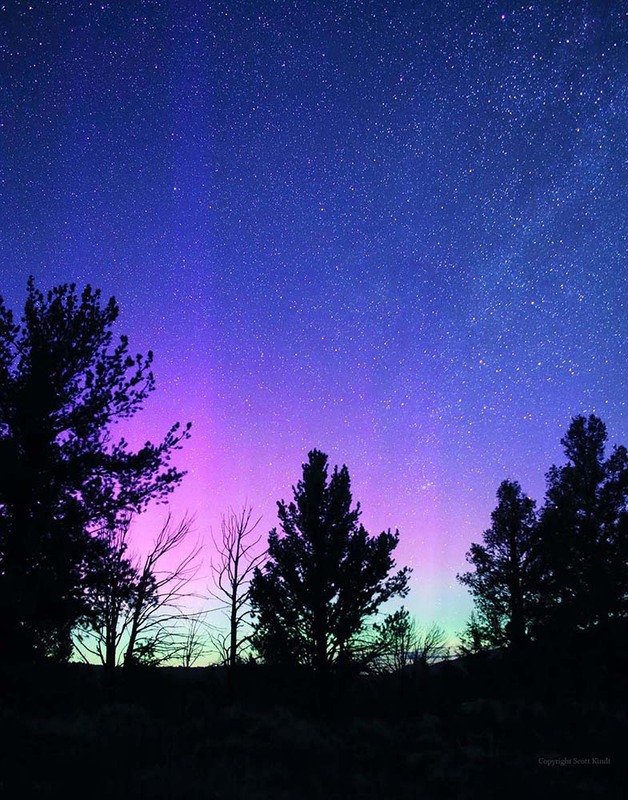 Glowing pillers of light could be seen in the northern sky reaching an elevation of 40 degrees above the horizon. This 20 second photo was taken with a Canon 6D camear and 14mm lens.